INGLOT in the Philippines - soon! I'm v.v.v excited about the fact that INGLOT Cosmetics will open in Manila very soon. They'll be setting up shop in Glorietta 5 and I can't wait! No really, I can't. Imma camp out. I've seen swatches and reviews of their eyeshadows online and have since longed for some of my own. I think there are a couple of resellers somewhere, but they don't carry all the colors. And I want to see and swatch ALL the colors before filling up my own Freedom Palette. 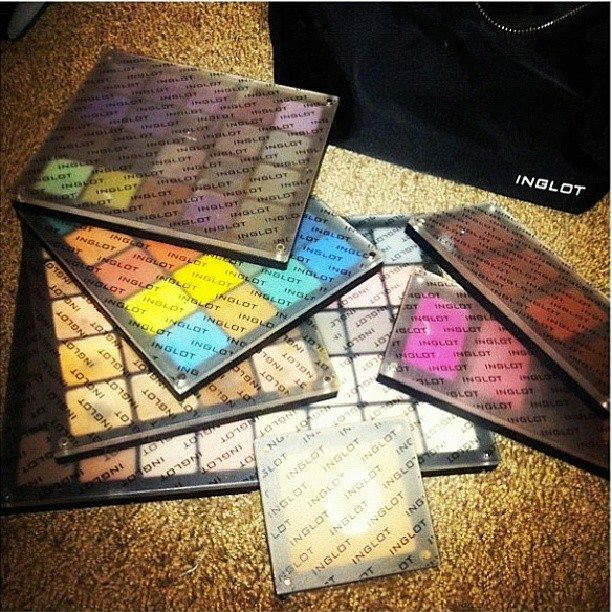 A little backgrounder: INGLOT was founded by Wojciech (pronounced Voy-check) Inglot. He built the brand over 25 years ago, turning it into an international success through the years. INGLOT is particularly famous for their Freedom System. It's a set of palettes that you can customize with blush, eyeshadows, concealer, foundation, and lipstick - swoon! You better watch out if you're a color freak. I'll let you know what's up once they launch. I just hope the prices are reasonable! Thoughts? Follow INGLOT Philippines on Facebook, Twitter, and Instagram for updates and such. Organic Beauty Week: What does "organic" really mean?